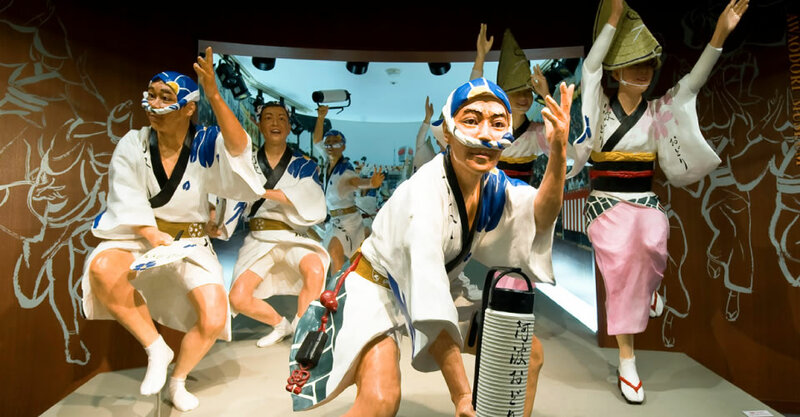 The city of Tokushima is best-known for its Awa Odori, which is one of Japan’s three biggest summer festivals and undoubtedly the heart and soul of Awa in motion (Awa is the old name of Tokushima prefecture). Locals and people from all over Japan gather in the city from August 12 to 15 every year. There’s a vibrant and friendly atmosphere where anyone can easily join in and enjoy the beautiful sounds of traditional musical instruments. If you’d like to take part, you can join the Niwaka Ren (drop-in team) and have a lesson from the experts before heading to the venue. Don’t worry if you have never had a chance to dance Awa Odori. As the dance lyrics go, “Dancing fools and watching fools. Both are the same fools, so why not dance?” Just join in and have fun! During the festival, hotels are booked out months in advance, so the earlier the better when it comes to making reservations. For those who’d like to see more dancing or have had the misfortune to miss the festival, the Awa Odori Kaikan, located at the foot of Mount Bizan, offers dance demonstrations several times a day. Miyoshi, a city in western Tokushima, is known as the home of Ikeda High School, once famous for its excellent high school baseball team. 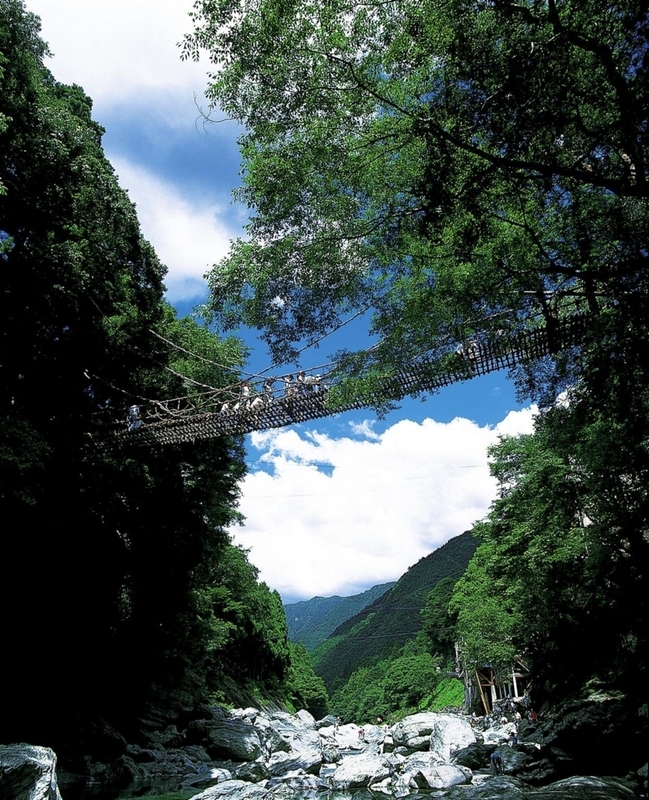 The city has many tourist attractions, including the Kazurabashi suspension bridge, which spans the Iya Valley. Made from a tough type of vine, the bridge is believed to have been created by Heike refugees about 800 years ago and is designated as a national and prefectural significant folk cultural asset. The bridge offers a superb but unsettling view of the Iya River under your feet and swings with every step you make, thus providing a thrilling experience – especially if you have acrophobia! 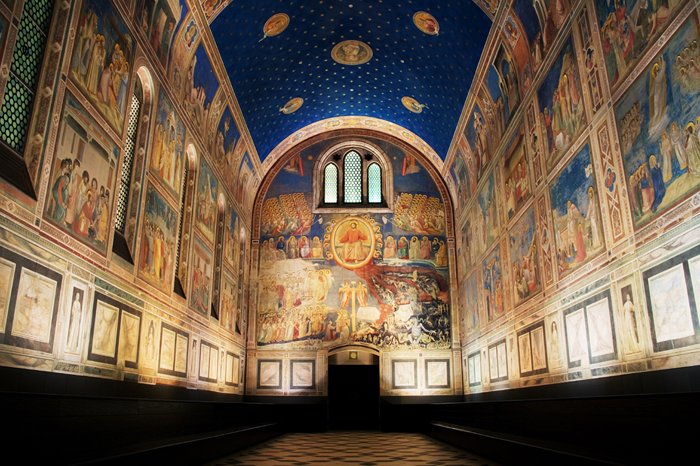 Recently, an increasing number of visitors from overseas have come to enjoy this region blessed with beauty. 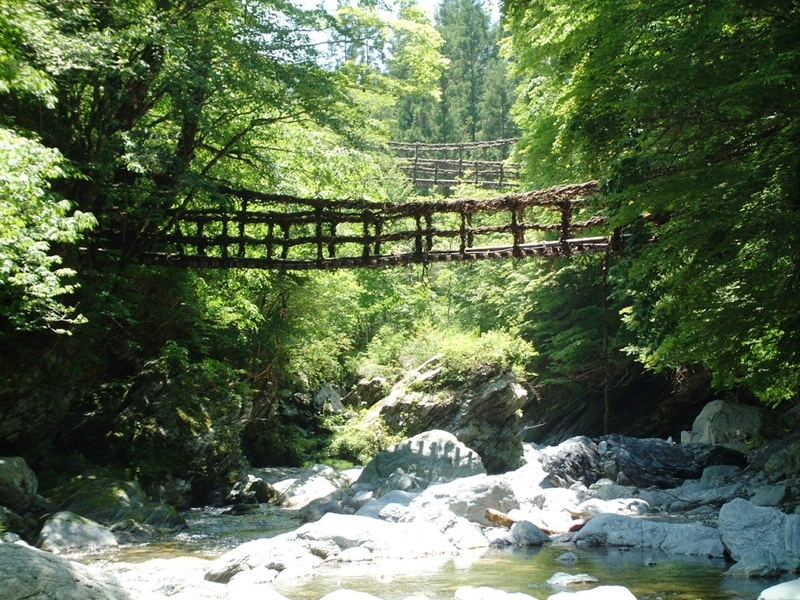 If you are looking for an adventure in an unexplored spot, Miyoshi is your destination. It offers a great number of attractions: rafting tours in the Oboke and Koboke gorges, “unkai” (sea of clouds) viewing tours, stays at “kominka” traditional folk houses, etc. Not widely known yet, but there are many good surfing spots in Tokushima. The Kaifu river mouth, in my hometown of Kaiyo-cho, has the best waves in Japan, especially for tube riding. Many surfers actually have chosen to stay there just for the waves. I don’t surf myself, but if you do, this is where you want to be! I even saw farmers enjoying surfing in a TV commercial for JA (Japan Agricultural Cooperatives). 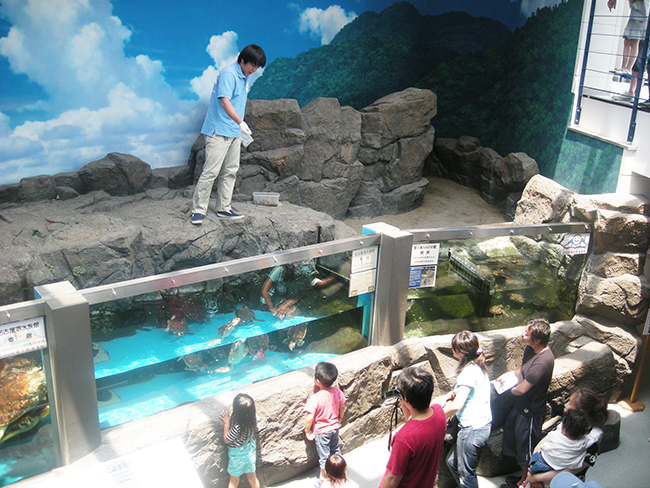 Southern Tokushima is famous for having sea turtles come and lay their eggs there. Sadly, the number of nesting turtles has been decreasing year by year. Sea Turtle Museum Caretta, in Minami-cho, is one of the few museums in the world specializing in these fascinating animals. Here, you can watch them swimming and playing in outdoor pools. Say hi to them, and you may get a hearty greeting in response – just like in a Disney movie. Are you going to the Otsuka Museum of Art? If so, don’t forget to check out the Naruto whirlpools. 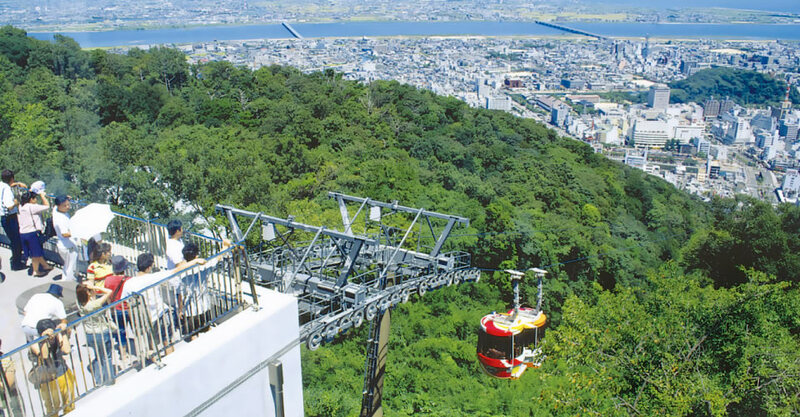 You can see them from the Uzu-no-michi walkway under the Ohnaruto Bridge or from sightseeing cruises that get right up next to them. It’s a stunning spectacle, one not to be missed, but look out for the waves so you won’t get swallowed up! Did a senior colleague once tell you that you would never have an “udatsu,” an ornate firebreak structure, on your roof – in other words, you would never be successful? And you didn’t understand the meaning of udatsu? Then why not take a walk down Waki-machi street to see all the houses with their beautifully preserved udatsu. Your fortune might increase just by looking up at them! 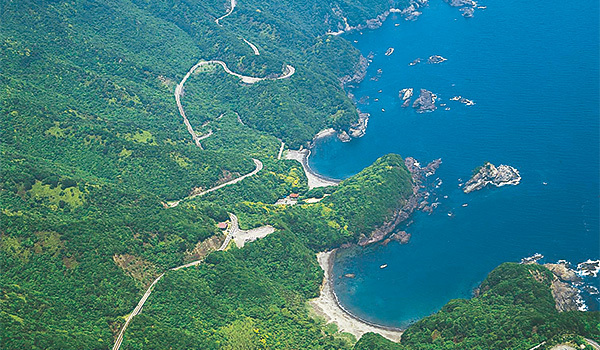 Getting yourself ready to go on the Shikoku pilgrimage route? Let’s start from the first of the 88 temples of the pilgrimage, Ryozenji temple in Naruto, Tokushima. If you want to drive away ill luck, stop by Yakuoji (the 23nd temple of the pilgrimage). You can prevent misfortune by leaving a coin on each step of the way to the temple. For ramen lovers, a must-try here is Tokushima ramen. The noodles are very thin in a pork bone based soup with raw egg and sliced pork back rib as a topping. If you are little hesitant about eating raw egg, tell your waiter “without egg” when you order. The ramen is best to eat with rice if it’s not too much for you. Up for more noodles? How about some Handa somen? These fine wheat noodles are thicker than regular somen and have a sticky texture. If you prefer udon, try Tarai udon. 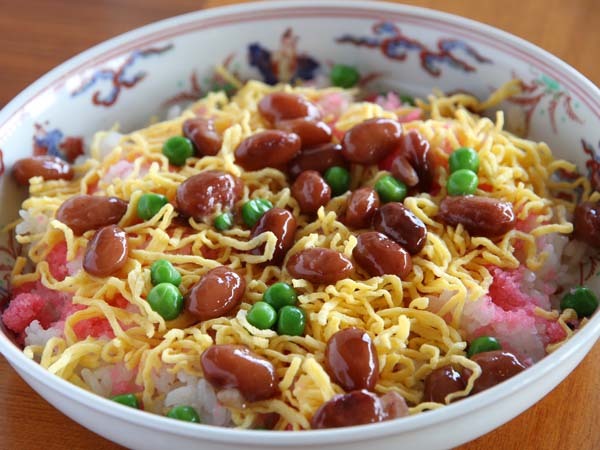 People often associate udon with Kagawa prefecture, but it’s not the only place. The freshly boiled udon in a washbasin-like container (tarai) is something you don’t want to miss trying.